(L to R): John Olsen, Anisha Joubert and Doug MacKinnon. 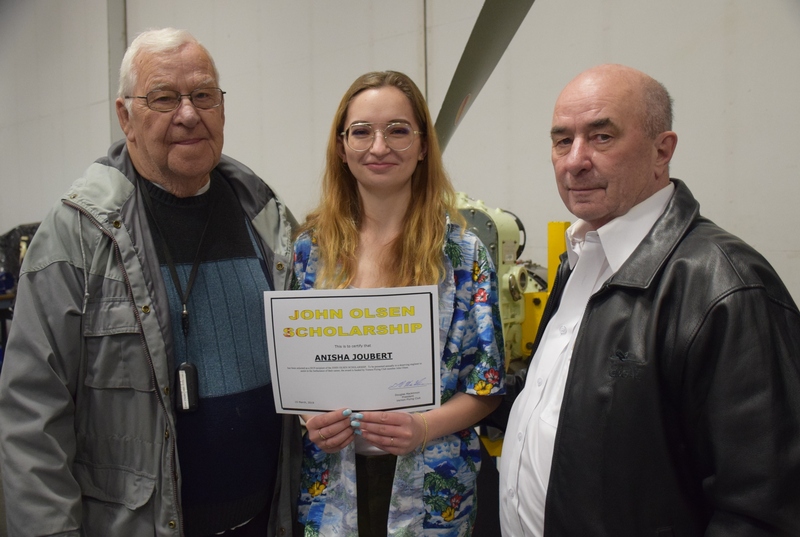 Kelowna’s Anisha Joubert has captured the Vernon Flying Club’s John Olsen Scholarship for spring 2019. The award is given to students who excel in aircraft maintenance engineer training at Okanagan College. 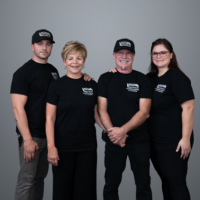 It is given biannually to students in both of the college’s graduating classes who exhibit dedication, attitude and potential leading toward a successful career in their chosen field of aviation maintenance. “My dad has been an AME for 30 years, and he has been a role model and a big influence for me,” Joubert said in a press release. “I was in Kelowna’s Air Cadet Squadron 243 and made it to flight sergeant. I have also visited my dad at his hangar at Kelowna Flight Aerospace. I was able to see Lockheed C-130s, Boeing 737s, 747, 757, and the search and rescue Buffalo. Joubert will now attend Northern Lights College in Dawson Creek to start the next phase of her training.